Sweets from the Sweet! Sweet Charity, that is. Win sweets from Belle Sloane author of Sweet Charity, and what could be sweeter than a box of Godiva? In what type of venue was Belle’s high school prom held? The answer is in my latest blog post. 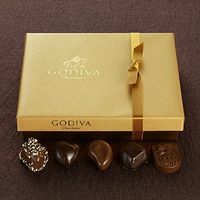 The names of those guessing correctly will go into a drawing for a box of Godiva chocolates. After the death of her parents, Charity Blythe finds herself trapped in a loveless arranged betrothal arranged by her guardian. Her intended is a selfish, thoughtless man who sends her to a physician because he’s unhappy with how she responds to him when they attempt relations. Dillon Ramsey, MD helps her unlock the secrets of her body. Through that self awareness Charity has other realizations as well. Her mouth watering interactions with Ramsey help her find her way back to the strong, assertive person she was before her parents’ accident. Put me on the Belle Sloane mailing list!